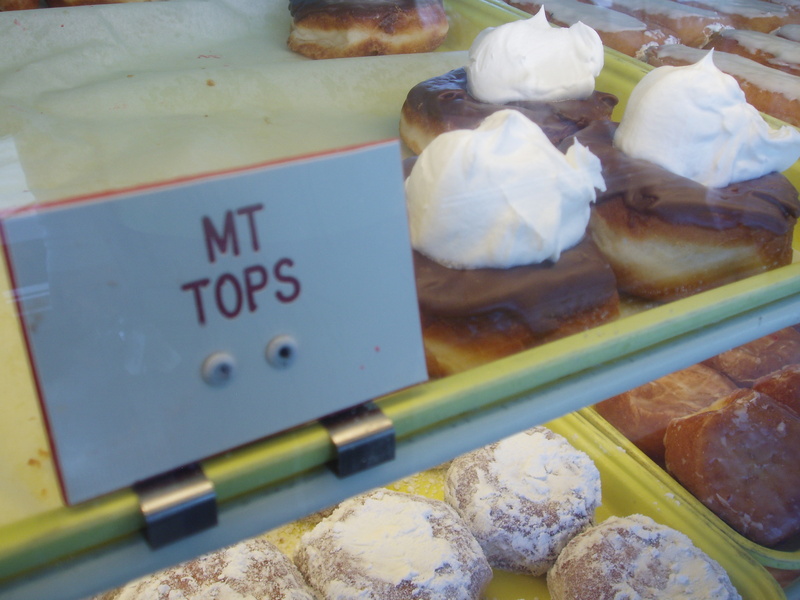 This entry was posted on May 7, 2011 at 10:08 AM	and is filed under donuts, Ohio Donut Trail, Road Trip. Tagged: Crispie Creme, The Ohio Donut Trail, The Original Crispie Creme. You can follow any responses to this entry through the RSS 2.0 feed. You can leave a response, or trackback from your own site. As a former Chillicothe resident, I’m so glad you visited! I like to point out that the O.G. is spelled with Cs. Glad you liked them. I would have liked to see a pic of your whole order. Both of my parents are from Chillicothe and I have been eating these my whole life. The family favorite are the sticks but I personally just like the glazed. Well, I guess like isn’t strong enough of a word. I am addicted to the glazed. Also, the New System Bakery is my dad’s favorite place in the world. But like you, I can’t ever seem to be in town when they are open. I’m a Chillicothe native who has been living in California for 12 years now. Every time I go back to visit this is the first place I stop. Period. Those mountain tops are to die for!!! From Portsmouth, a N.D. grad. Loved Mrs. Renison’s Crispie Creme Donuts. Four yrs. ago when I was back in Chilli I brought back with me to Ca. a dozen Crispy Cream doughnuts. I very carefully wrapped each one and flew them back with me on the plane. I feared that if they checked my luggage and saw these delicious doughnuts they would eat them. These were pure gold. I came back and shared them with my family. My daughter who loves these golden treasures was as happy as a lark. MMMM these are the best doughnuts and always enjoy them when we come back to Chilli. I moved to Texas over ten years ago, and I miss Crispie Creme with a passion. Every time I go home I have to stop by. Even my husband, a Texan born and raised states that these are the best doughnuts ever! 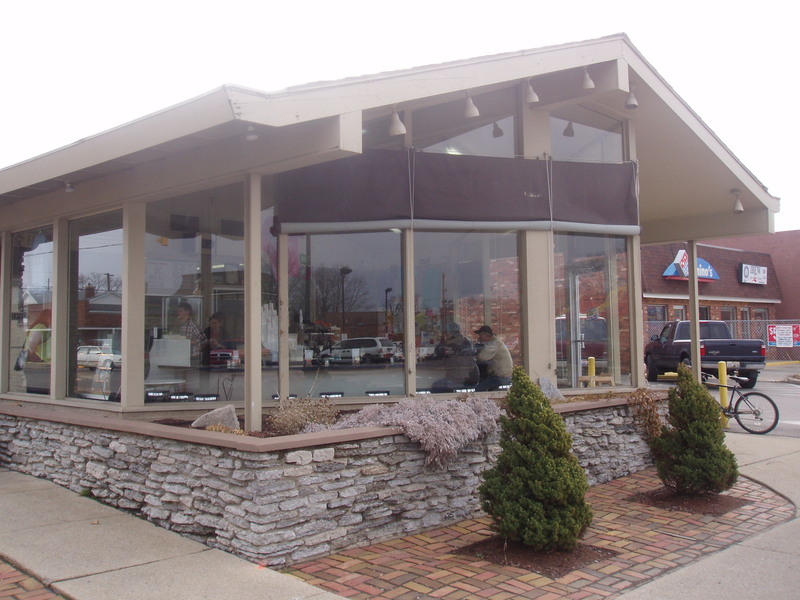 We live in Portsmouth, Ohio and lost our Crispie Creme shop (Mrs. Renison’s) recently. Would sure love to see that shop reopen! We’d give anything to get the original recipe donuts back. We have family that comes all the way from Sandusky and always stopped for donuts. Would love to see that shop reopen! It’s greatly missed! 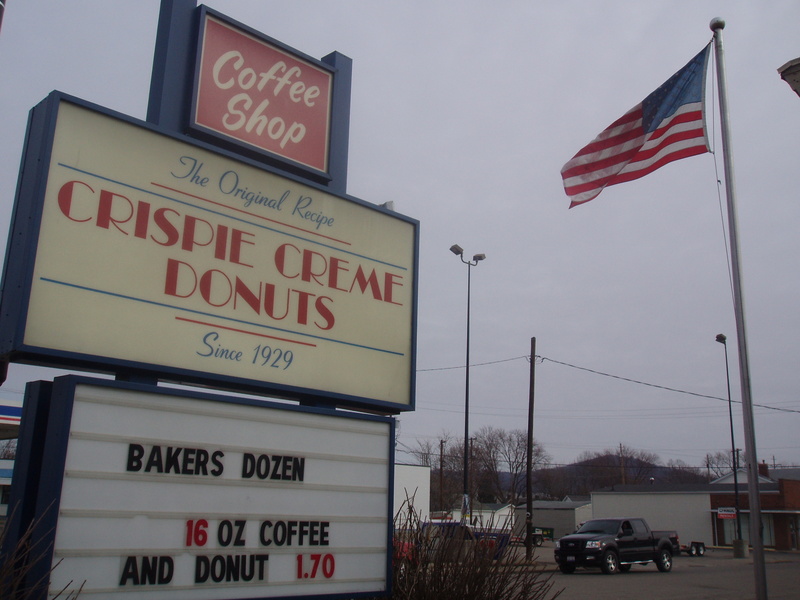 The Crispie Creme is opening again in Portsmouth, Ohio this month December, 2012. Many of the local residents are waiting for their good fresh donuts. I do not know if any of the original family is still living but I work for them way back in the early 60s in Portsmouth Ohio, these were the best donuts and am so sorry they sold out to KK for there products are not a good as the original CC. Am so happy you are still making those wonderful donuts. Wish I could visit one day but for now living in the Philippines. lived in alabama for the last six years. jonesing for some crispy creme. think they will ship me a box? I’m living in NC and I too am jonesing for my crispie creme donuts! They are the best!! As soon as I visit, that is the first place I have to go to and bring back a few dozen, which don’t last long. Gotta find out if they will ship these D E L I C I O U S DONUT DELIGHTS! 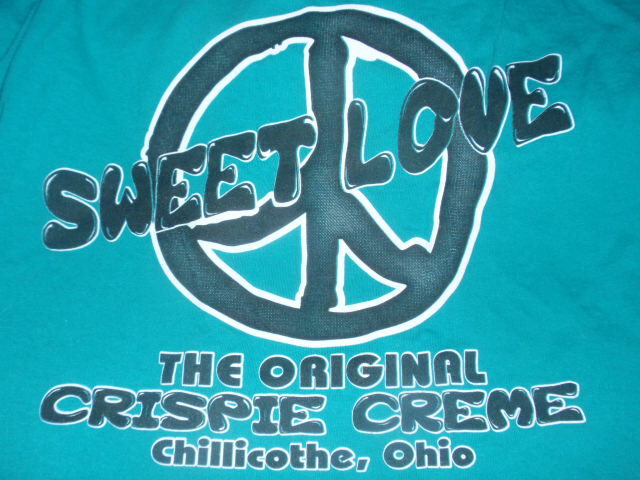 When I was a kid, back in the 60’s, on West Broad St., Columbus, Ohio, there was a Crispie Crème with the same quality of donuts that Chillicothe has. I think this must have been a branch of the Chillicothe store. 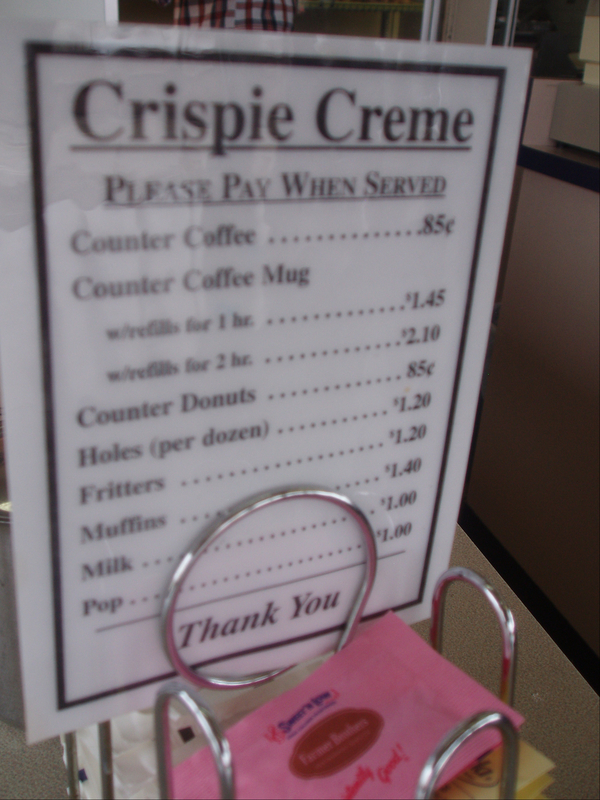 I certainly do miss my Crispie Crème in Chillicothe. I have no apologies for admitting I’m a donut snob. I rank all donuteries by way of the simple glazed donut. I’ve been doing this for 15 years all over the country and none has surpassed Resch’s on Livingston Avenue in Columbus, OH. The fact that it is not on this list is a disappointment. If you haven’t tried it, you must. Crispie Creme > New System Bakery. Based on conversations I’ve had on the local Facebook groups, though, you’re likely to get some pretty polar responses. I never cared for NSB’s banker’s hours, and liked the taste/quality of CC more. I’m glad you got the chance to swing by Milton’s in Middletown. Yes, Middletown IS depressing…VERY much so. HOWEVER, there are some pretty bright spots still left. Please come back sometime soon? And make Milton’s one of your early stops? The donut selection is wonderful and you will not be disappointed. I’m going there tomorrow, bright and early, to bring donuts back to the office and impress some visitors! The team needs to visit Schuler’s Bakery in Springfield, Ohio. I think the pecking order may change after that visit. Hi Tim, We have visited Schuler’s and we are fans.